Ships tomorrow if you order in the next 17 hours 52 minutes. 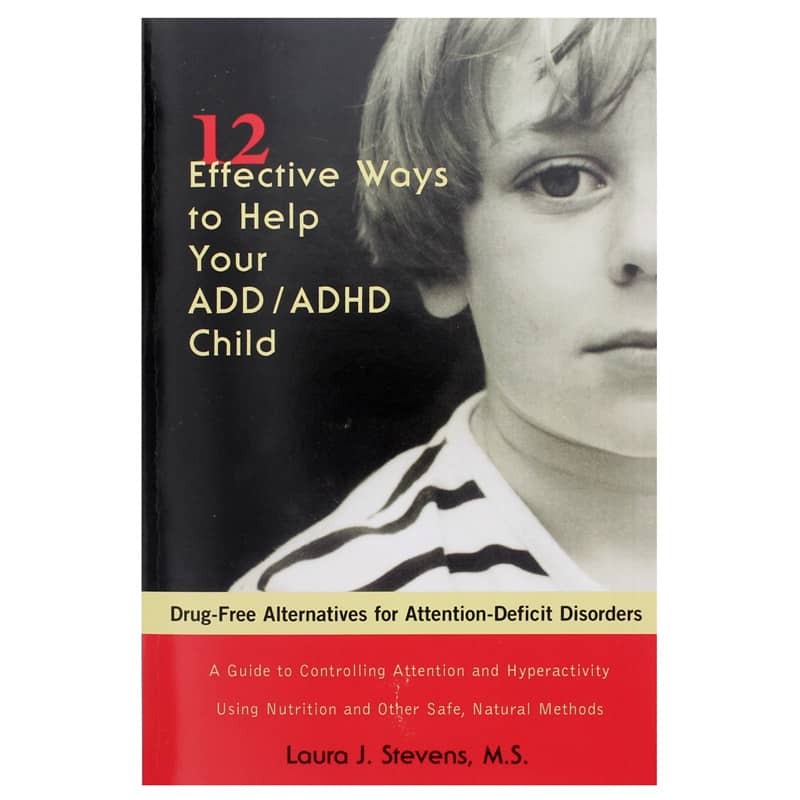 12 Effective Ways to Help Your ADD/ADHD Child by Laura J. Stevens, M.S. is a guide to controlling attention and hyperactivity using nutrition and other safe, natural methods. 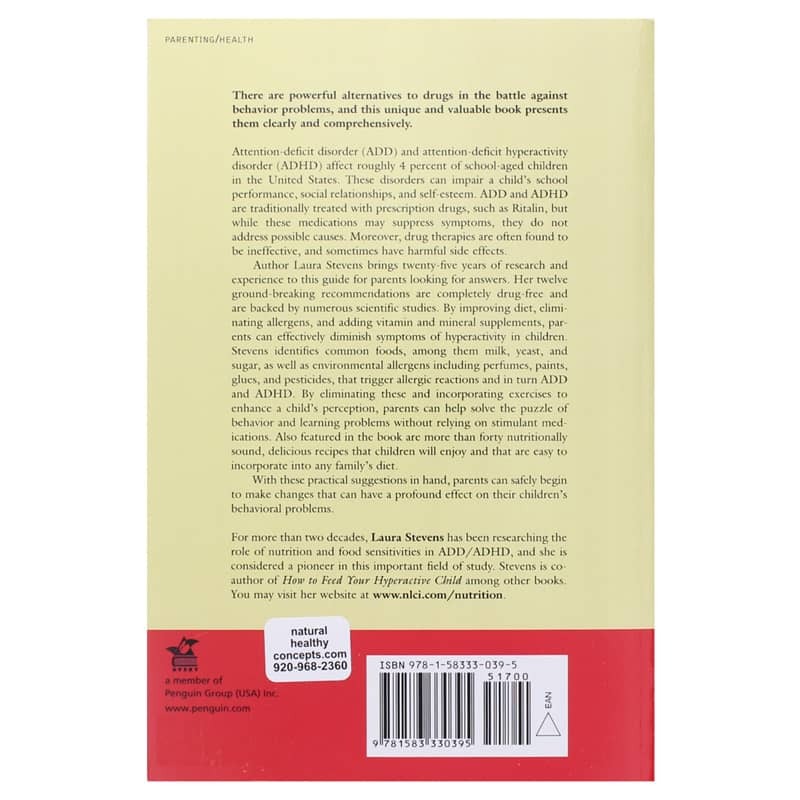 There are powerful alternatives to drugs in the battle against behavior problems, and this unique and valuable book presents them clearly and comprehensively. Attention-deficit disorder (ADD) and attention-deficit hyperactivity disorder (ADHD) affect roughly 4 percent of school-aged children in the United States. These disorders can impair a childs school performance, social relationships, and self-esteem. ADD and ADHD are traditionally treated with prescription drugs, such as Ritalin, but while these medications may suppress symptoms, they do not address possible causes. Moreover, drug therapies are often found to be ineffective, and sometimes have harmful side effects. Author Laura Stevens brings 25 years of research and experience to this guide for parents looking for answers. Her 12 ground-breaking recommendations are completely drug-free and are backed by numerous clinical studies. By improving diet, eliminating allergens, and adding vitamin and mineral supplements, parents can effectively diminish symptoms of hyperactivity in children. Stevens identifies common foods, among them milk, yeast and sugar, as well as environmental allergens including perfumes, paints, glues and pesticides, that trigger allergic reactions and in turn ADD and ADHD. By eliminating these and incorporating exercises to enhance a childs perception, parents can help solve the puzzle of behavior and learning problems without relying on stimulant medications. Also featured in the book are more than 40 nutritionally sound, delicious recipes that children will enjoy and that are easy to incorporate into the diet of any family. With these practical suggestions in hand, parents can safely begin to make changes that can have a profound effect on their childrens behavioral problems. For more than 2 decades, Laura Stevens has been researching the role of nutrition and food sensitivities in ADD / ADHD, and she is considered a pioneer in this important field of study.